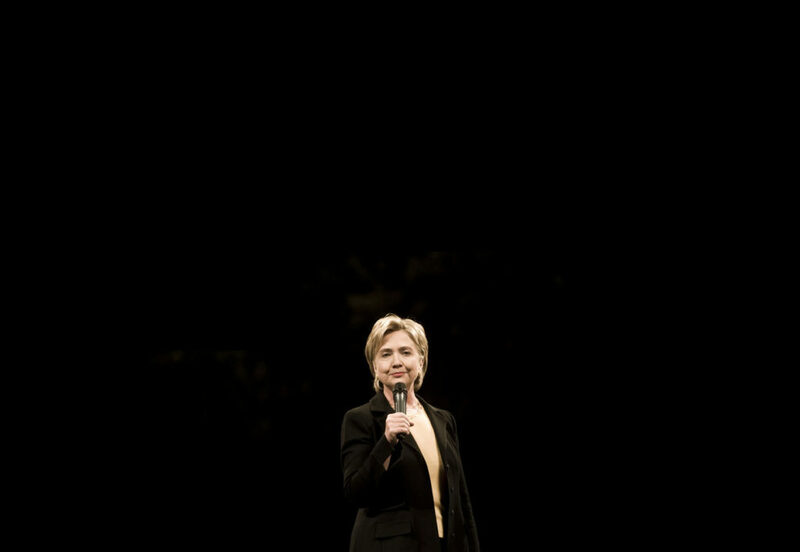 Here in America, Democratic Party presidential candidate Hillary Clinton held a swing-state campaign rally on the day before the great voting ceremony. She was flanked by high-profile celebrities: Beyoncé, Jay-Z, Bon Jovi, LeBron James, Katy Perry. When we observe this rally through the lens of history, we can clearly see that Hillary Clinton—standing on a stage, surrounded by people—was the embodiment of loneliness. Her candidacy—isolated and lifeless—was supported by a $650 million pyrotechnical masterpiece, but not a single American heart was filled with excitement. Oh my God. I’m back. I’m home. All the time, it was… We finally really did it.